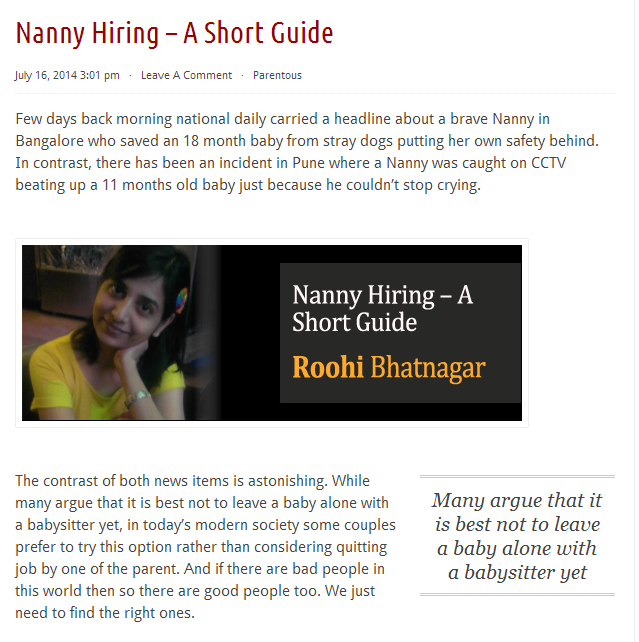 For all those parents out there who look for Nannies for their little hearts, here's my article on Nanny Hiring on Parentous. 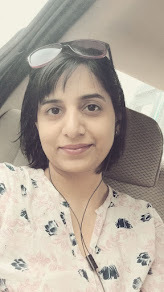 After having different kinds of experience both good and bad, I have come up with a list of 10 points which we should take into consideration while finalizing a person for this important job. Faced problems for Nanny. Got very few right ones, Roohi. Working parents need to do so as they have no option... May everyone be lucky. Phew, thats an astonishing contrast indeed Roohi.. Feels so inhuman. I wish there was a way these people could be mandated, maybe a complaint mechanism or something to keep them in limits.. Yes Vinay it was so inhuman as the video is out on youtube.. I felt like crying for the young innocent child.. Human mind is complex even if you have all mechanism such things still happen.. God be generous on everyone.. Cool Roohi, am not sharing any comment on the guide over here as am going to read that first on Parentous first. Oh Alok.. How nice of you :) Glad, you are such a motivation.. Thanks..